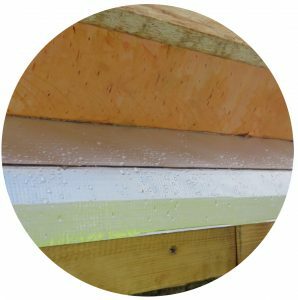 WARMDEX®OSB and WARMDEX®FR are the answer to your warm roof build up. 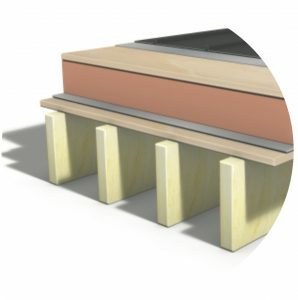 Consisting of Insulated Decking Board Manufactured of Kingspan Kooltherm technology with either 22mm OSB4 boarding or 18mm FSC Certified WBP Fire Rated exterior grade plywood. 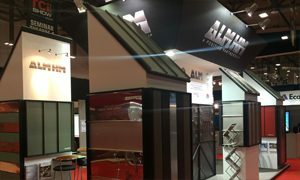 These are ideally suited for use within your warm roof build up for standing seam roofing including – Rheinzink, VMZinc, KME & Aurubis Copper, Uginox Stainless Steel and Prefa and Falzonal Aluminium plus other manufacturers. • The top Layer is 22mm OSB4. • The core is manufactured with Kingspan’s high performance CFC/HCFC-free, zero ODP Resol foam technology and has a typical density of 35kg/m3 rigid Resol insulation core. Manufactured to BS EN ISO 13166. 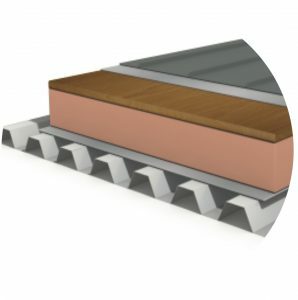 • The Bottom Layer is a low emissivity composite foil which is highly resistant to the transmission of water vapour. • The top Layer is 18mm FSC Certified WBP Fire Rated exterior grade plywood.